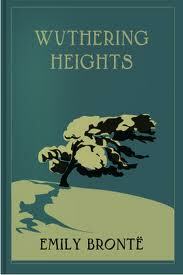 Wuthering Heights is a wild, passionate story of the intense and almost demonic love between Catherine Earnshaw and Heathcliff, a foundling adopted by Catherine’s father. After Mr Earnshaw’s death, Heathcliff is bullied and humiliated by Catherine’s brother Hindley and wrongly believing that his love for Catherine is not reciprocated, leaves Wuthering Heights, only to return years later as a wealthy and polished man. He proceeds to exact a terrible revenge for his former miseries. I’ve had this book on my list to read as one of Sarah’s recommendations so it has been sitting on my shelf for a short while. Then I went to one of my book clubs and it ended up being the book for November! I thought that was prefect and finally got to read it. I really do not know what to make of it. I’ve read novels that have inspired anger and hate in me because they have frustrated me, I’ve also read novels that inspire fondness and happiness because they strike a positive chord with me, but this doesn’t seem to fall into either one of those. I really don’t know what to make of it or what to make of the characters. I believe my brain may have been in shock after I read it and during and perhaps sometime after. When I say I don’t know what to make of it, it’s not because I didn’t get the story line. I understood the plot and grasped what the characters are on about, but the characters are all mad. All mad! So, so mad. To add to their madness, sure Emily Bronte may be well written and Wuthering Heights is to a degree, but the dialogue… The dialogue, especially in the first part, was insufferable. Some of those characters had the longest diatribes which were needless I think and ended up just making me want to fall asleep. Granted I still wanted to fall asleep later in the book, but the second part (it comes in two volumes) was far better. There were still long, drawn out speeches, but not nearly as bad in the first. People should read it for the second part if they can make it that far. Another thing about the second part is I feel perhaps it may have been better because there was the introduction of another character who was much more likeable compared to the rest of them. That’s another problem I found with this book, none of the characters were likeable. It is possible to relate to them at times, but they aren’t likeable at all. The thing is even if a character is not likeable, as long as they incite some sort of feeling it shouldn’t matter, but they didn’t resonate with me feeling wise so they came across as all being a little flat. Perhaps it was because of their bouts of madness and their abstract behaviour which made them not very dimensional to me because there was so much of it and they were all over the place. What didn’t help was it seemed to manifest again in the second generation (the first volume is one generation and the second is the following generation). Maybe that’s why my brain is in shock after reading it because there really is just too much madness and too much excessive behaviour born from over emotion. I’m actually glad I picked it up, persevered with it, and finished it though. Classic literature doesn’t always have to be unpleasant or difficult to read, but this one was which presented a challenge. A challenge that I overcame. Now I just have to try to refrain from interrogating fans of it on why they loved it. Demographic: Adult, and those who love the use of old English. Reminds Me Of: The Castle by Kafka, but only because it was hard to digest. Otherwise when it comes to writing style Jane Austen may be closer. I read this book every holiday season….it’s such a great story except I get so tired of Cathy’s “do I love Heathcliff or Linton”?!?! But at any rate, I love this book one of my favs!!! Wow, you must have really loved it. What was it that made it such a favourite for you? I’ve been trying to understand for awhile now why people love it so much because it didn’t do it for me enough.